This field shows the configurations name of the current device. 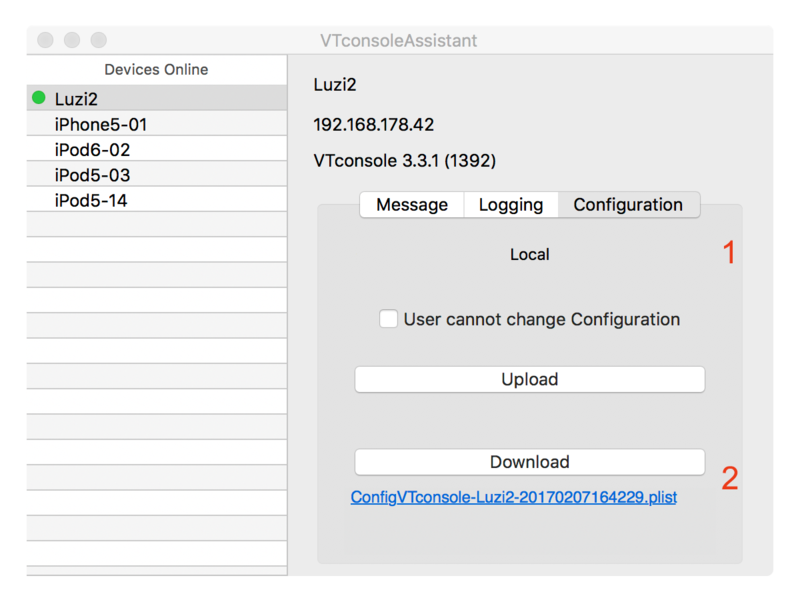 The value “Local” means a device that has been configured only by the UI of VTconsole and never by device management interface. 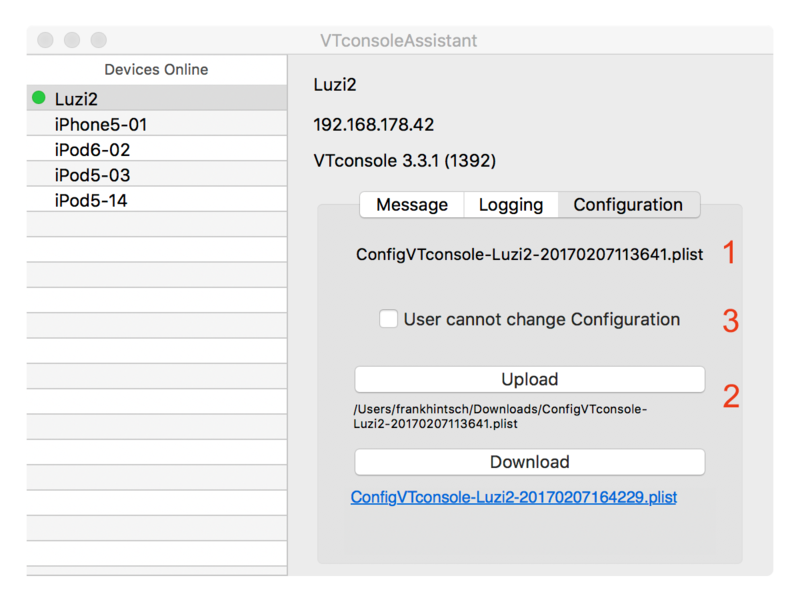 Use the “Download” button to load the current devices configuration set. It will be saved and can be inspected by clicking the link. Upload configuration file and disallow changes. The new configuration will be activated if it is accepted by the user and then the filename will be used as the new configuration name. Use the “Upload” button to transfer a selected configuration file to the current device. The configuration may be protected against changes by the user.